For the past three decades, driving enthusiasts from around the world have gathered on the third Sunday of May and September in the Nevada high desert for the running of some truly unique automotive events. Their amazing journey traverses 90 to 120 miles of closed, two-lane public highway, comprised of long fast straights, sweeping corners, blind dips, even carving through a twisty canyon. The current course record stands at 219.6430 mph average speed, as recognized by the Guinness Book of World Records. The best part is, if you’ve got the nerve, a little cash, and a fast ride, you too can join them to run as fast as you can, legally, down a public highway. Welcome to the Silver State Classic Challenge! It all began simply enough back in 1988, as a showcase for vintage racing cars. Along with Ferrel Hansen, then President of the White Pine County Chamber of Commerce, the organizers received approval from the State of Nevada to close Highway 318 based on the event’s potential for pumping money into the local economy. That left less than two months to organize the event, which meant getting the go-ahead from all three counties, formulating a traffic control plan, lining up the Nevada Highway Patrol to secure the highway, and arranging liability insurance of one million dollars. After Steve Waldman, one of the original organizers and then Marketing Director of the Showboat Hotel in Las Vegas, agreed to make the Showboat the official host property, everything was in place. When the Silver State Classic Challenge debuted on Sunday, September 25, 1988, it was the first legal open road rally of its kind in the U.S. in a half-century. 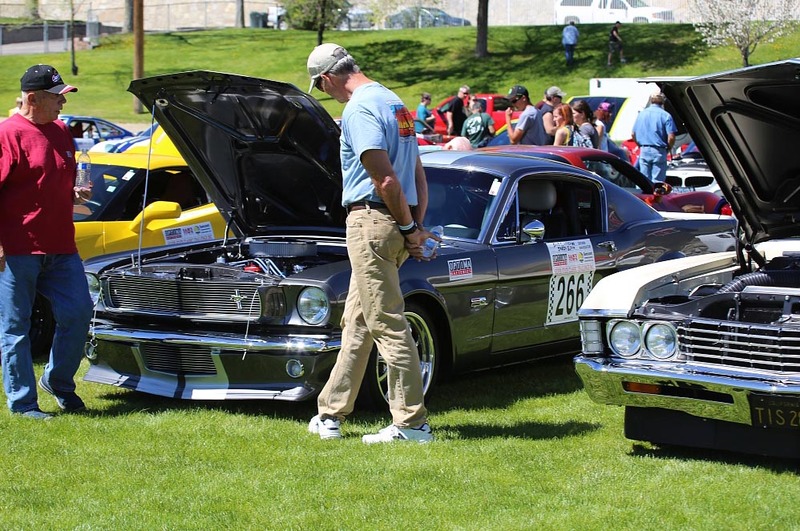 In addition to vintage autos, it pulled in a mixed bag of late model, high performance vehicles and muscle cars. Among the 50 odd entries were six Ferraris, thirteen Porsches and four Corvettes. The oldest American car was a ’56 Dodge D500, which blew its engine just twenty minutes into the event. Overall, three cars failed to finish, but fortunately nobody was injured. For the record, a red 1988 Ferrari Testarossa, driven by Jim Liautad, Jr. of Elgin, Illinois, averaged 162.58 mph and clocked the fastest time of that first event. After that rather hastily arranged beginning, the Silver State Classic Challenge has seen many changes and refinements over the years, while retaining its original flavor and reputation. In 1989, Las Vegas businessmen and racing buffs Phil Henry and Rick Joyce were brought in to handle public relations and merchandising, giving the event a more polished identity. 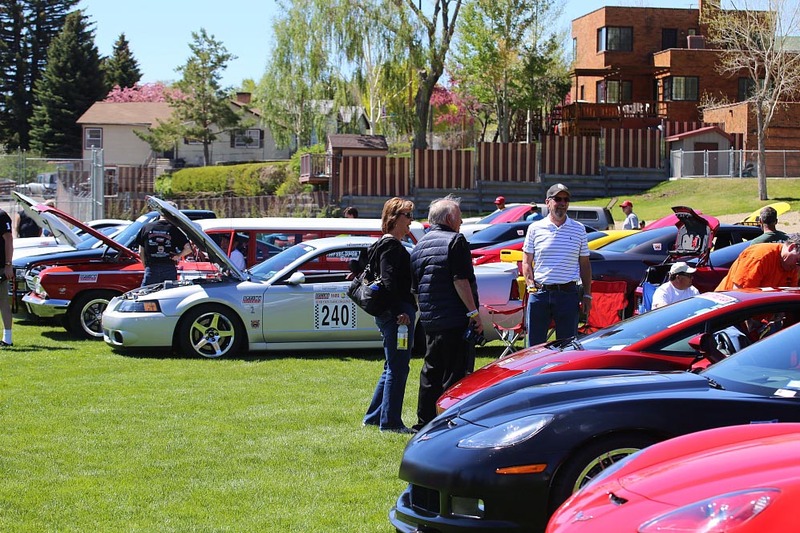 Thanks to favorable press coverage in nationally known publications like Motor Trend and Autoweek, the next event drew over one hundred competitors. Among those was a then unknown nineteen year old named R.J. Gottlieb with a modified 1969 Camaro he called Big Red. During that event, the young R.J. blasted through the course at 197.99 mph, hitting speeds in excess of 220 mph, and set a course record that has only recently been broken. However, it was later determined that the course was 2 miles shorter than originally thought. Therefore, the old record was retired and a new mark of 186.73 mph was set in May of 1996 by veteran open road participant, Kelly Seivers. Again in 1999, the course was re-measured by an independent civil engineering firm and found to still be about 2,000 feet short, and so that record was retired, and the new Public Highway Land Speed Record was established after moving the Start Line to bring the course to exactly 90 miles in length. On May 21 of 2000, Chuck Shafer and his navigator Gary Bockman set a course record of 207.7801 mph (334.3894 km/h) in a NASCAR-bodied Chrysler LeBaron. This record would stand for another twelve years. In 1990, the basic formula for today’s series was established. Rather than the loosely configured categories of the first two years, brackets were created based on average speed targets. 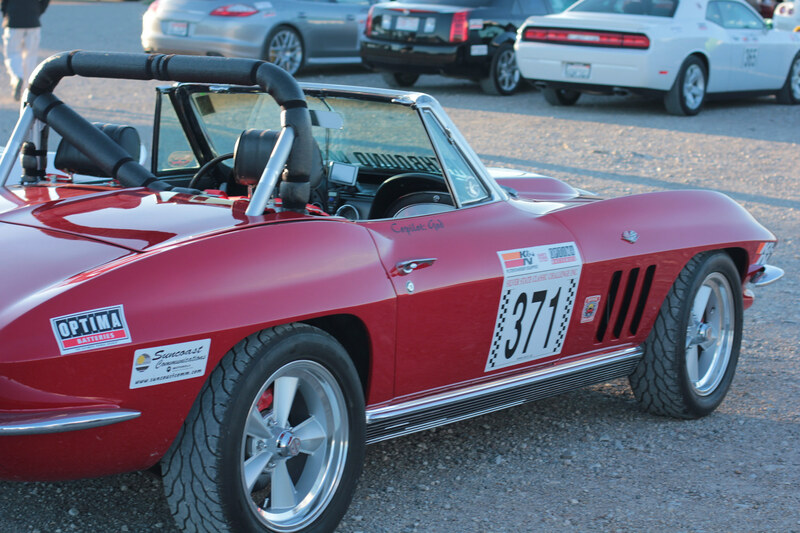 Through the efforts of an informal Advisory Council, made up of participants and other interested parties, the Silver State Challenge tightened safety regulations, and instituted practice and qualifying sessions, as well as tech inspections, at Las Vegas Speedway Park. 1991 saw the participation of a major sponsor, Blu-Blocker Sunglasses, to underwrite much of the operating cost. 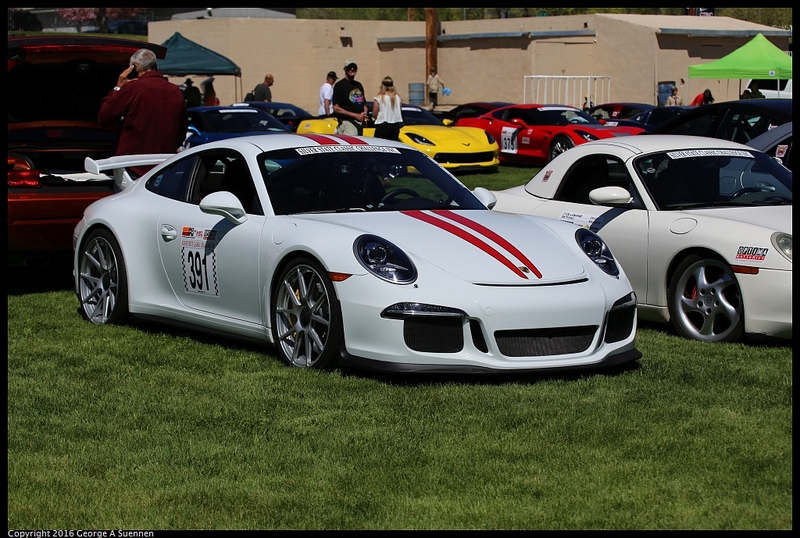 At this time the event was also expanded to its current twice-yearly format, consisting of the original Silver State Classic Challenge in September, and the new Nevada Open Road Challenge in May. Among other enhancements was the formalization of the Advisory Committee, made up of Steve Waldman, Phil Henry, Rick Joyce and Richard Forman, as well as representatives from White Pine, Nye and Lincoln Counties. 1991 was also the year that course security provided by the Nevada Highway Patrol was replaced by local Sheriff’s departments at a substantial savings in cost. In 1992, the caravan from Las Vegas to Ely was established. Led by off-duty Las Vegas Metro Police Officers in their DARE car, the caravan served to make the event even more enjoyable. The highlight of the trip was a Dutch oven cookout in Pioche, Nevada, as well as an official reception in Ely, made possible by the participants all arriving at the same time. It was business as usual until 1994, when the Advisory Committee officially incorporated as a non-profit corporation, headed by President Steve Waldman. This meant that professional promoters would no longer be a part of the organization of these events. The event was also sanctioned, for the first time, by the American IndyCar Series, raising it to new heights of respectability. South of the border, international flair was added in 1995 via our affiliation with the organizers of La Carrera Internacional de Ensenada. This event started with La Bufadora hill-climb, qualifying run and culminated the following day with 105-mile rally on Mexico Route 1. The event was recognized by Federacion Internacional de Automobile. In 1999, after years of struggling to get at least 100 entries, the events suddenly started to exceed 230 entries on a regular basis, and a waiting list had to be established for the first time. Today, these events are well known worldwide, attracting competitors from countries such as Canada, Mexico, Japan, New Zealand, Sweden, Norway, Great Britain, Saudi Arabia, and other nations. 2001 was a year of big developments in SSCC history. We were accepted into the Guinness World Book of Records for two records, Highest Speed on a Public Highway and the Fastest Road Rally. The record was awarded and held by Chuck Shafer and Gary Bockman from their run in May of 2000. This year also saw the creation of SSCC Speed Week, with two Open Road Races running back to back. The first was the Silver State Gold Rush Challenge on State Route 278, followed one week later by the original Silver State Classic Challenge on Highway 318. Each road offered different challenges to the competitors. In May of 2004, for the first time we created the High Noon Shootout, which takes place on State Route 490. This is a unique road that is 1.9 miles long, which makes it ideal for this event. The High Noon Shootout is an acceleration contest where participants can see how fast they can go within either a Half-Mile or One-Mile distance. Always trying to find ways to bring more excitement to participants on race weekend, in May of 2005, we introduced the Speed Stop Z1Z & Z2Z Challenge, also taking place on State Route 490. This allowed participants to test their car’s acceleration and stopping power. Acceleration distance is limited to a maximum of one mile, allowing nine-tenths of a mile for safe stopping. Cars that could easily reach 100+ mph at sea level found this to be a tough challenge, as participants tried to achieve these speeds at Ely’s high elevation of 6,500 feet above sea level. In April of 2007, the inaugural Chihuahua Express took place. It is a three-day rally event in the City of Chihuahua, Mexico, and became part of an SSCC International Point Series. That same year, renowned motorsports artist Hector Cademartori, began designing the artwork that is used on our SSCC commemorative t-shirts and posters. In an effort to continually improve our events, we began providing all participants with GMRS radios to immediately communicate with our Course Workers and Ham Operators during emergencies. By 2011, we had developed a very sophisticated portable repeater system to enhance our current race course communications systems. As we celebrated our 25th Year in 2012, we experienced a few unexpected surprises. 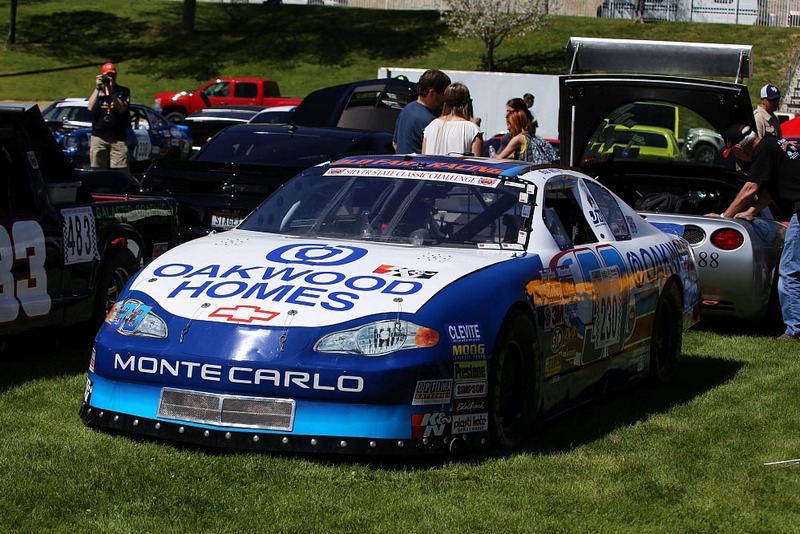 The first took place at the Nevada Open Road Challenge on May 20th, when Jim Peruto, driving a modified former 2006 Dodge Charger NASCAR Penske Racing car, made history as he broke both Guinness World Records. His average speed was 217.5570 mph (350.1240 km/h) and his 90-mile drive took a mere 24:49.2649 minutes. A few days later, the Nevada Department of Transportation Board of Directors voted unanimously to officially rename Highway 318 as “The Silver State Classic Challenge Highway”. Special NDOT signage was posted along the highway, letting travelers know they are traversing the hallowed Open Road Racing course through the Nevada Great Basin. In May of 2017, as we celebrated our 30th Year of racing on the Silver State Classic Challenge Highway, we were pleasantly surprised once again, as racers Robert Allyn and David Bauer set a new Guinness World Record for World’s Fastest Road Race in a modified former Andy Petree Racing 2001 NASCAR Monte Carlo. The new world record set by Bob and Dave stands at 219.6430 mph (353.48 km/h) average speed over the 90-mile course. For 2018, SSCC is making significant changes once again, by offering two completely different Open Road Racing event formats. This May, the Nevada Open Road Challenge (NORC) course will grow from the former 90-mile, one-way format to become a two-way event, totaling 119.78 miles (59.89 each way) in length, once again giving an SSCC event the title of Longest Open Road Racing Course Distance in the US. In addition, the NORC Awards Banquet will be held in Ely, Nevada, allowing racers to spend another night in the charming, rustic mining town. The new two-way format and longer course distance promise to be another large draw, and again, we anticipate having to create an overflow wait list for competitors clamoring to get into the race. The Silver State Classic Challenge (SSCC) event in September will remain our classic 90-mile, one-way event format, with the Guinness World Records on the 90-mile course up for grabs, and the SSCC Awards Banquet will be at Sam’s Town Hotel and Casino in Las Vegas, Nevada. Over the years, major series racers and celebrities the likes of Guy Martin, John Schneider, Stacy David, Marsha Mason, Jim Caviezel, Perry King, and even Russian Cosmonaut Boris Grechko have run in these unique automotive racing events. 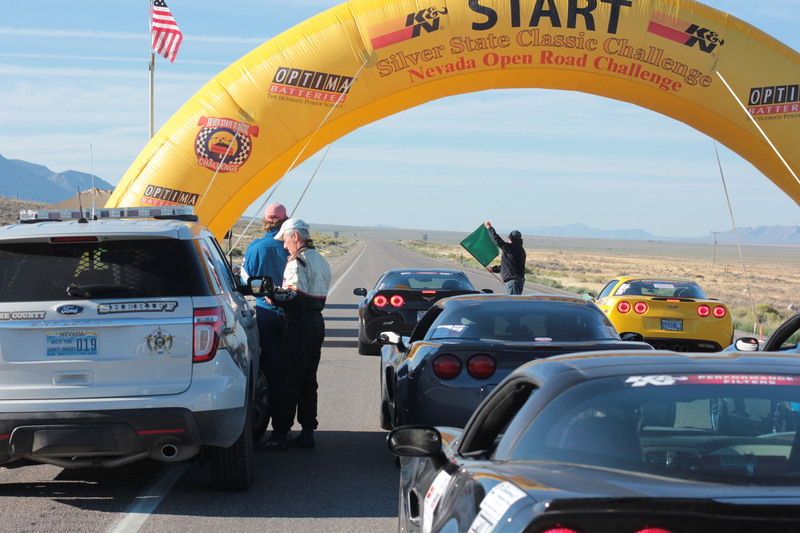 Major sponsors and contributors, such as Optima Batteries, Suncoast Communications, Las Vegas Corvette Association, Hotel Nevada, Sam’s Town Hotel and Casino, and many others currently support SSCC events, providing another avenue for growth and expansion for our events and non-profit corporation. Many dedicated SSCC volunteers, event staff, and the Board of Directors work hand-in-hand with the State of Nevada to boost travel and tourism in the region. Thanks to our racers, we drive much needed annual revenue into the local economy from all of those who travel to the region to support and participate in our events twice a year. We thank each and every one of you for your support, and hope to see you racing this year down the Silver State Classic Challenge Highway!